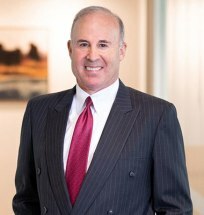 A list of Robert Briskin's recent articles includes: Estate Planning for the Family Business, USC Probate and Trust Conference, 2000; The Treatment of Cancellation of Debt Income by S Corporations, Los Angeles Lawyer, June 2000; S Corporations: Supreme Court to Decide Whether COD Income Increases Basis, The Tax Advisor, September 2000; Supreme Court Reverses Tenth Circuit in Gitlitz, Taxes, the Tax Magazine, March 2001; Fair Exchanges, Los Angeles Lawyer, September 2003; Preserving the Tax Benefits of Family Limited Partnerships California CPA Magazine, July 2003; Like-Kind Exchanges-Common Problems and Solutions The Tax Advisor, April 2005; Planning Strategies to Sell Real Estate at Lower Long-Term Capital Gains Rates, California CPA Magazine, November 2005; Family Limited Partnerships - Operational Issues, California CPA Education Foundation - August 2007; Loan Workouts for Commercial Loans, California CPA Magazine, June 2009; and Estate Planning for Real Estate, California CPA Education Foundation - November 2009. Robert Briskin has over 25 years experience in representing clients on major corporate, business and real estate transactional matters, and is highly respected for his creativity in business and tax planning. He has a B.A. Degree from the University of Michigan, a J.D. Degree from Wayne State University and an LL.M. Degree in Tax Law from the New York University School of Law.